Post-26/11 Mumbai attacks, which were orchestrated from the sea, India has realised the threat potential from the Indian Ocean. The geographical configuration and the location of the Island chain in the Bay of Bengal can safeguard India’s Eastern seaboard as well as the approaches to the Indian Ocean from the East. Its proximity to the Southeast Asian region enables India to forge friendly relations with the Association of South East Asian Nations (ASEAN) neighbours. The physical isolation and remoteness of the archipelago, however, makes it vulnerable to conventional and non-conventional threats. The Andaman and Nicobar Islands (ANI) are one of the most strategically located island chains in the world. Located at the junction of the Bay of Bengal and Andaman Sea, the 349 islands currently have an area of 7,950 sq.km. The Southernmost tip is just 150 km North of Aceh in Indonesia and the Northern tip is just 40 km from the Coco Islands of Myanmar. Immediately to the East is the mainland of Myanmar and Thailand. Kolkata, the closest major city in mainland India is around 1,100 km, and Vishakhapatnam is 1,200 km away. These islands are a Union Territory controlled directly by the central government through a Lieutenant Governor and they also host India’s only tri-service geographical command. The Islands are home to the only known Palaeolithic people, the Sentinelese who have no contact with modern civilisation. Therefore, for decades after independence, India chose to restrict construction and travel activities. The region gained strategic prominence when in 1992, China reportedly set up a Signal Intelligence (SIGINT) gathering station on Greater Coco Island. It could thus monitor the movement of other navies and ships throughout the Eastern Indian Ocean, especially the crucial Malacca Strait. It could also have monitored the Indian Space launches from ISRO’s main launch site at Sriharikota and the DRDO missile test range at Chandipur-on-sea, both on India’s East coast. China getting a foothold in the Bay of Bengal was of concern. A listening post or surveillance radar has implications. There are reports that China has been building a runway, ostensibly for civil flights and is planning a maritime base later. Conversely, the ANI have great strategic significance for India to exploit. The Chola kings had conquered the ANI around 1020 AD and used them as a strategic naval base to launch a naval expedition against the Sumatra-based Buddhist Empire. The Islands also provided a temporary maritime base for ships of the Maratha Empire in the 17th century. The Maratha admiral Kanhoji Angre is credited with bringing the Islands under Indian control. The Danish East India Company colonised the Nicobar Islands in 1756 AD. The Islands were repeatedly abandoned due to outbreaks of malaria. In 1789, the British set up a naval base on Chatham Island next to Great Andaman, where now lies the town of Port Blair. Britain took over the ANI in 1869 and set up a penal colony including the infamous cellular jail, for convicts from India. During WW II, ANI were taken over by the Japanese and nominally placed under Indian National Army (INA) of Netaji Subhash Chandra Bose. The Islands were re-occupied by British and Indian troops on October 07, 1945. After Indian and Burmese independence, the British initially retained control over the Islands; but they finally became part of India in 1950 and were declared a Union Territory in 1956. The ANI have a population of around 400,000 with a density of 46 per sq.km. The Islands are divided into North and Middle Andaman, South Andaman and Nicobar regions. After the tsunami on December 26, 2004, the Islands lost nearly 123 sq.km. area which was permanently submerged. The highest point is located in North Andaman Island at 732 m. The only volcano in India, the Barren Island, is located in the Islands. The Andaman Islands have thick tropical rainforest vegetation while Nicobar mainly has grasslands. The present forest cover is 86 per cent. Only ten per cent of the population lives in Nicobar Islands. Hindus constitute 69 per cent of the population, Christians 22 per cent, and Muslims, nine per cent. Tourism and fisheries are the main industry and the ANI are connected to the mainland by air and sea. Exotic beaches and pristine islands offer opportunities for water sports. The ANI bring with them a huge Exclusive Economic Zone (EEZ) that is waiting to be exploited. Unlike China which has boundary disputes in all the seas around them, the ANI have clearly demarcated maritime boundaries. Nicobar Islands is mostly inaccessible to tourists. With Japanese assistance, it will have a 15-megawatt diesel power plant. It is part of the Indo-Japanese strategic initiative to strengthen civilian infrastructure in the vicinity of the Strait of Malacca, a strategically important choke-point for the Chinese oil supply. 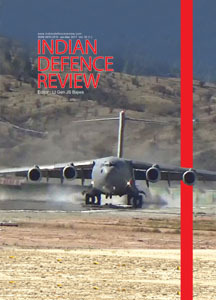 India has been developing defence facilities on the Islands since the 1980s. The Islands now have a key position in India’s strategic role in the Bay of Bengal and the Malacca Strait. The Strait is a narrow, 850 km stretch of water between the Malay Peninsula and Indonesian island of Sumatra. The Strait is one of the most important shipping lanes in the world. 94,000 vessels pass through every year linking the Indian and Pacific Oceans carrying about one-fourth of the world’s trade, including oil and Chinese manufactured products. Major Asian economies such as India, China, Japan, Taiwan and South Korea use the Strait. It is also one of the world’s most congested shipping choke-points as it narrows to only 2.8 km just South of Singapore. The Thai government has often proposed to cut a canal through the Isthmus of Kra saving around 960 kilometres. China had offered to cover the costs. The prohibitive financial and ecological costs suggest that such a canal will not be built. In either case, the strategic importance of ANI, which are located at the mouth of the Strait, will remain significant. Meanwhile, China has been looking closely at the Indian Ocean as it links Chinese Sea Lines Of Communications (SLOCs) to African and Middle Eastern energy sources as well as European trade routes. China imports nearly six million barrels of oil a day, which is nearly 75 per cent of their total requirements. China has thus been investing in naval facilities in the region which India also sees as planned encirclement. This policy has been termed as the ‘String of Pearls’ by Western analysts. To counter the increasing Chinese presence, India has once again started improving ties with Bangladesh, Myanmar and Sri Lanka. One of the key strategic initiatives in the Indian Ocean would be to develop the ANI. To counter China, Indian foreign policy has had a marked shift towards USA and is supported by Australia and Japan. The world has watched China’s belligerent attitude in the South China Sea (SCS) against the United Nations’ arbitral tribunal’s ruling. China is in an expansionist mood. The criticality of the Malacca Strait as a choke-point has been well understood by the Chinese when they chose a land route through Pakistan (CPEC) to the Middle East. Post-26/11 Mumbai attacks which were orchestrated from the sea, India has realised the threat potential from the Indian Ocean. The geographical configuration and the location of the Island chain in the Bay of Bengal can safeguard India’s Eastern seaboard as well as the approaches to the Indian Ocean from the East. Its proximity to the Southeast Asian region enables India to forge friendly relations with the Association of South East Asian Nations (ASEAN) neighbours. The physical isolation and remoteness of the archipelago, however, makes it vulnerable to conventional and non-conventional threats. While in ASEAN, India has friendly neighbours, military intervention in the Indian Ocean by extra-regional powers, especially China, remains a cause of concern. Also, non-conventional threats such as poaching of marine and forest resources, illegal migration, arms smuggling and natural disasters do pose challenges to the internal security of the island chain. Steps to address these problems have been undertaken by the government, but the issues of remoteness, inadequate infrastructure, poor coordination among security agencies and underdevelopment pose challenges. Building critical infrastructure and sustainable economic development is, therefore, imperative for securing ANI. Very little was done until after the Indo-Pak War of 1965, when Indonesia with its proximity, had threatened to capture some Islands on behalf of Pakistan. It was only thereafter, that the Islands received some attention. World over, island resources have been used to generate thriving and sustainable economies. Unfortunately, India’s lack of vision resulted in neglect of this valuable asset. A tri-service command was set up in October 2001, directly under the Chairman, Chiefs of Staff Committee. The ANC’s jurisdiction is limited to the Islands’ Exclusive Economic Zone, with no formal responsibility for the SCS. Its tasks include maritime surveillance, humanitarian assistance and disaster relief, as well as suppressing gun running, narcotics smuggling, piracy, and poaching in India’s EEZ. The ANC’s mandate perhaps needs to include securing Eastern approaches to the Indian Ocean because of the proximity to a very important shipping lane. Force levels on the Islands are only gradually increasing. The ANC hosts just one infantry brigade, around 20 warships – mostly amphibious landing ship tanks and small landing craft and a handful of Dornier-228 maritime patrol aircraft as well as Mi-8 and Chetak helicopters. There are two Navy Sea bases, four Air Force and Naval Air bases. The command has no Unmanned Aerial Vehicles (UAVs), despite requests from ANC commanders for Israeli-origin Heron UAVs. Reports suggest two Indian Navy warships are regularly deployed to patrol the Northern and Southern islands and in January 2013, the Indian Navy commissioned its largest offshore patrol vessel at the ANC for maritime surveillance and patrolling. The command provides logistical and administrative support to naval ships which are sent on deployment to East Asia and the Pacific Ocean. In April 2016, INS Karmuk, a missile Corvette ship has been based at Port Blair. For amphibious warfare, there is a large Landing Ship Tank that can carry about 220 fully armed troops along with six trucks, ten Main Battle Tanks and 12 infantry combat vehicles for long duration. For short duration, an 800-men battalion could also be carried. 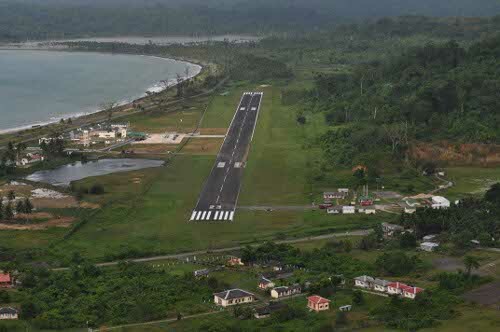 The airfields are at Port Blair, Car Nicobar, Campbell Bay and Diglipur. The Indian Coast Guard units also report to ANC. INS Baaz, a naval air station is located at Campbell bay in Greater Nicobar, 555 kilometres South of Port Blair and is the Southernmost air station of the Indian Armed Forces. Rising China as a bully with ‘hegemonic’ intent has angered the world. India has done well to make friends with the ASEAN countries who are most concerned about being bull-dozed. Important regional groupings are the ASEAN, the BIMSTEC, the IOR-ARC (now IORA) and the Mekong-Ganga Project which has evolved in the last two decades. The Bay of Bengal Initiative for Multi-Sectoral Technical and Economic Cooperation (BIMSTEC) is an international organisation involving a group of countries in South Asia and South East Asia which includes Bangladesh, India, Myanmar, Sri Lanka, Thailand, Bhutan and Nepal. The Mekong-Ganga Cooperation (MGC) began in 2000 at Vientiane. It comprises six member countries – India, Thailand, Myanmar, Cambodia, Laos and Vietnam. Their areas of cooperation are tourism, culture, education and transportation so as to promote trade and investment. The Indian Ocean Rim Association for Regional Co-operation (IOR-ARC), a regional cooperation initiative of the Indian Ocean Rim countries, was established in Mauritius in 1997, with the aim of promoting economic and technical cooperation. IOR-ARC is the only pan-Indian ocean grouping. It brings together countries which constitute a population of about two billion people. The Indian Ocean Rim is rich in strategic and precious minerals, metals and other natural resources, marine resources and energy, all of which can be sourced from Exclusive Economic Zones (EEZ), continental shelves and the deep seabed. Presently it has 19 members. The five Dialogue Partners are China, Egypt, France, Japan and UK. As a Union Territory directly under the Ministry of Home Affairs, with no local elected government, the ANI have suffered from bureaucratic control with little strategic thought. There has been overplay of environment concerns. Only ten per cent of Singapore is earmarked for parks and natural resources. Yet it ranks fourth globally in the Environment Performance Index. In contrast, more than 90 per cent of the Andaman and Nicobar Islands is notified as reserve/deemed forest with only about six per cent of land available for development. This acute land constraint has throttled realisation of the economic and strategic potential. A population of 300 Jarawas has been accommodated in a tribal reserve of 1,000 sq.km. This is unrealistic. The most strategically situated island of Great Nicobar could be considered for partial opening by reserving around 25 per cent land for forests and to accommodate the Shompen tribe (a population of about 400). The remaining 75 per cent is as big as Singapore, could be for comprehensive development including strategic assets. The opening up of ANI could generate a million jobs over the next two decades. There is a need to develop both tourism and security without excessive negative impact on environment. 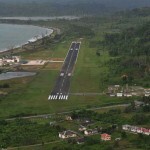 We should consider Port Blair to Phuket/Bangkok international flights. There is a need to enhance inter-island connectivity through air and high speed large boats as can be seen between Hong Kong and Macau. Telecom connectivity has also to be improved. The Andaman Nicobar Islands should one day be a strategic outpost, a bridge to Southeast Asia, a tourist paradise and a fisheries hub. Littoral states such as West Bengal, Odisha, Andhra Pradesh and Tamil Nadu could benefit and ANI could be a hop-step to Bay of Bengal countries such as Bangladesh, Myanmar and Thailand. 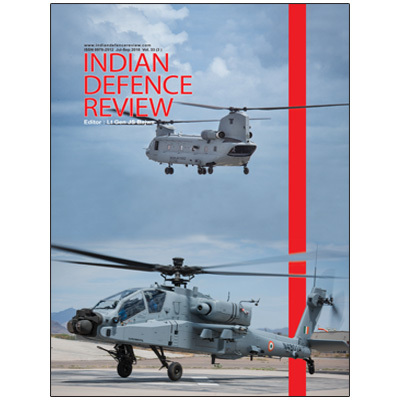 Their neglect has cost India both financially and in terms of security preparedness. There has to be greater coordination between various Ministries all of which currently are working in isolation. Despite the vast potential for wind and solar energy for electrical power generation, the Islands are still primarily dependent on diesel generators. Furthermore, with an average annual rainfall of 100 cm, as also space for catchment areas, there continues to be the problem of fresh water availability. Increasing catchment and storage of rainwater needs to be factored in for both human consumption and agriculture. The population has increased gradually, but it still remains below 50 per sq. km. The Islands have numerous natural harbours of strategic importance. There is immense scope for increase in revenue within the Exclusive Economic Zone (EEZ). The ANI provide for 30 per cent of India’s EEZ. In the absence of capabilities, poaching by other nations is rampant. Coast Guard resources need to be increased. The potential for hydrocarbon exploration within EEZ has to be seen. There is vast potential for an infusion of private capital in tourism. Innovative additions such as water sports, offshore diving sites, simplified registration of foreigners, sailing marinas and support facilities for berthing, also need to be looked into. There have been many grand ideas projected by many well-wishers which include developing a free port such as Hong Kong. Each of these four islands is nearly twice as big as Singapore. The population density in ANI is just 47 per sq km while it is 7,615 in Singapore. Per capita income in the ANI is $1,789 compared to Singapore’s $55,182. Creation of a sustainable economy will also provide jobs and revenue. There is need for an Andaman and Nicobar Island Development Action Committee (ANDAC) reporting directly to the PMO, with representatives of all stakeholders. Private parties and institutions related to tourism and fishing must be closely involved. A time-bound plan must be put in place. Exercise Malabar is a trilateral naval exercise involving the United States, Japan and India. Non-permanent participants are Australia and Singapore. These exercises include activities, ranging from fighter combat operations from aircraft carriers to maritime interdiction. JIMEX is an Indo-Japan naval exercise primarily for maritime security cooperation. It includes Humanitarian Aid and Disaster Relief (HADR) operations as well as search and seizure drills as part of anti-piracy operations. Japan is an important element in the Asia-Pacific region and there is a common threat perception from China. Navies from Singapore and India have been conducting joint naval exercise SIMBEX since 1993. This exercise is conducted near the ANI and meant to train to jointly improve maritime security and the ability to fight terrorism. India also undertakes maritime exercises with the French Navy (Varuna), Royal Navy (Konkan), Russian Navy (Indra) and even with the People’s Liberation Army Navy (PLAN). India has also held naval exercises with Vietnam, Philippines, South Korea and New Zealand. Theatre-level Readiness Operational Exercises (TROPEX) is an Indian Navy exercise with the Indian Army and the Indian Air Force. The Indian Navy carried out a joint exercise SLINEX-II with Sri Lanka Navy focused anti-piracy operations. Once in two years, navies from the Indian Ocean Region meet at the ANI for Exercise MILAN. The Indian Ocean Naval Symposium (IONS) is a voluntary initiative by the Indian Navy that seeks to increase maritime co-operation among navies of the littoral states of the Indian Ocean Region (IOR) by providing an open and inclusive forum for discussion of regionally relevant maritime issues. It endeavours to generate a flow of information between naval professionals. It has 35 members and four observer nations. Such exercises also send signals that India has close friends in the region. The events that have influenced India’s ‘Look East’ policy in the last decade are the US tilt towards India; India and Japan convergence of world view; India and Australia perceiving China’s penetration in the Indian Ocean Region; ASEAN’s concerns about China’s actions in the SCS; India’s re-appreciation of the threat from the sea and the decision to develop ANI to counter Chinese threat in the region. Some have likened the ANI’s strategic potential to America’s Indian Ocean military outpost at Diego Garcia, but with a far more valuable location and 200 times the size. The ANI are just 0.2 of India’s landmass but provide 30 of the country’s EEZ. In fact, Pakistan had claimed them as part of extension of East Pakistan at the time of partition. The actions to tap the strategic potential of the Islands need acceleration. India needs to convert part of the Island chain into a major base like the Pearl Harbour that could allow India to create Anti-Access and Area-Denial maritime exclusion zone in the event of a conflict. It could have routine visits of Indian Navy’s aircraft carrier and the nuclear submarines. It could also have elements of Indian Army’s Special Forces and Naval Commandos, the ‘Marcos’. India needs to deploy one SU-30 MKI fighter squadron and half a maritime Jaguar squadron on a permanent basis. India can offer training areas and airfields for use by countries like Singapore. A few of the now being acquired Japanese amphibian planes ShinMaywa US-2 can be positioned at the Islands. India is the dominant power in the Indian Ocean and needs to fortify the area by creating strong defences. The existing Indian military facilities are good enough only for routine coastal patrolling, intelligence gathering and search and rescue. For offensive and defensive action, anti-submarine warfare and Intelligence, Surveillance, Reconnaissance (ISR), requires operational infrastructure. The Indian Navy needs to routinely operate Boeing P-8I aircraft in ANI. There is a need to position the latest monitoring equipment. Our security and defence plan has to cater for full spectrum of threats. Vulnerabilities peculiar to the Islands, such as hostage taking of foreign tourists, hijacking of ships, poaching and so on, require special planning. Dispersal of assets over the Islands has to be planned. ANI could one day become the ‘gatekeeper’ of the Indian Ocean. Electronic connectivity on the Islands is hampered by the limitations of the existing satellite umbrella. This needs to be remedied. Prime Minister Modi on his first overseas trip to Seychelles and Mauritius said the Indian Ocean Region is “at the top of our policy priorities”. “The blue chakra (wheel) in the Indian flag represents the potential of the blue revolution or the ocean economy,” the PM stated. “He wants to push the legacy of Lee Kuan Yew by providing an opportune moment for a fundamental reassessment of the vision and strategy for the ANI,” says Vivek Rae, former Chief Secretary, Andaman and Nicobar Islands. That moment is now. All 3 services should enhance their bases and keep an eye on the sea lanes to keep potential enemies at bay.